Katy Kamen’s practice focuses on health care plans, ERISA fiduciary matters, and enforcement. Katy advises plan sponsors, self-insured health plans, and insurance companies on a wide variety of issues, with a focus on service provider arrangements. Working with some of the country’s largest plans and sponsors, Katy drafts and negotiates contracts with vendors such as third party administrators, pharmacy benefit managers, and transparency tool vendors. 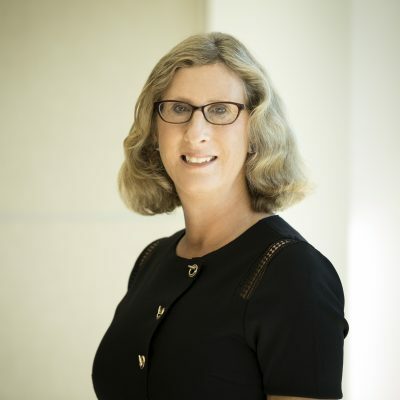 Her practice also includes working with direct plan-provider contracts in innovative areas such as centers of excellence, telehealth, and accountable care organizations, as well as advising health plans and sponsors on ERISA prohibited transaction and plan asset issues. On the insurer side, Katy advises insurance companies on administrative services and balanced funding contracts, with a focus on disclosure of administrative fees and related issues. Katy brings her extensive litigation background and experience to bear in government investigations of federal mental health parity laws as well as Department of Labor (DOL) audits and investigations of alleged fiduciary breaches, including those relating to pension plan investments. She also assists health plan sponsors in seeking DOL exemptions, including those authorizing the use of captive reinsurance arrangements. Katy joined Groom in 2002 after working in the employee benefits/ERISA and insurance groups of a large New York law firm. Groom is the best in its field. It takes ERISA attorneys seriously.